So, MAGS! Unlike most jams, which tend to last from 72 hours to a full week with no engine restriction, this one spans a month and requires participants to use Adventure Game Studio! 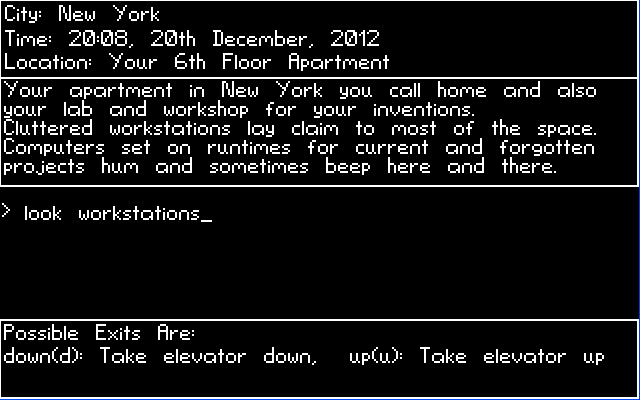 Who’s in the mood for creating some adventure games? Ah, March. Surely summer can’t be too far off now? Surely. One can dream. Or… maybe… partake in this month’s MAGS instead, which is all about “Three’s a Crowd”. Yeah, you’re gonna need three characters for this one. Not just a protagonist who talks to himself. That won’t do. Unless he has two alter-egos. Then I suppose that’d work. Maybe. Either way, you have the entire month of March to get creative! That’s just for MAGS March, though. We mustn’t forget about the month recently left behind, even if at the time of writing, only one submission has been made (deadline’s been extended, so we’ll see). Update: deadline extension proved worthwhile as the total submissions now count three! 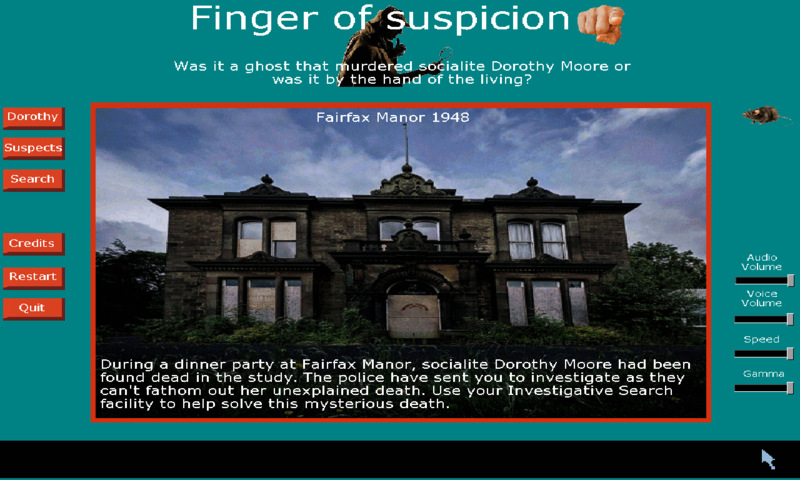 Was it the ghost of fairfax manor that murdered Dorothy Moore or was it by the hand of the living? This is a unique search by keywords(s) that you hear from suspects or see to further your investigation.